Wearing heated gear from neck to ankles extends my safe and enjoyable riding season significantly. In fact, it’s unsafe road conditions, not the cold that pulls me off my bike in winter. I’ve just returned from a 2,200+ mile trip to a southern vacation destination. Unseasonably low temperatures this year meant I had to take extra precautions to deal with the cold. One day began at -6C/20F and never went above 2C/36F. The 700km/450 miles I rode that day were the coldest I’ve experienced and would not have been possible without cold weather gear. 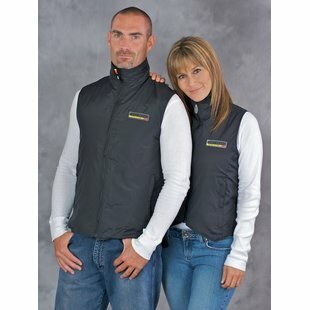 You don’t need to ride in those extremes to appreciate the safety, comfort and warmth of heated gear. In fact, I wear it to take the chill off whenever the ambient temperatures dip below about 12C/55F. Going 100 kph/60 mph on a motorcycle in 4-degree (C)/40-degree (F) temperatures makes it feel about 20 degrees cooler outside. That’s significant if you’re riding all day because it will accentuate fatigue, impairment and reduce your enjoyment. It’s important to make the right choices because except for gloves, heated gear goes on under just about everything else so it’s hard to adjust once you’re underway. It’s a significant investment and can make or break a ride. How much “coverage” you get depends on how much cold weather riding you do – and how cold it will be. I started with a vest and gradually progressed to gloves, jacket liner and pant liner. Socks are next. Fit. 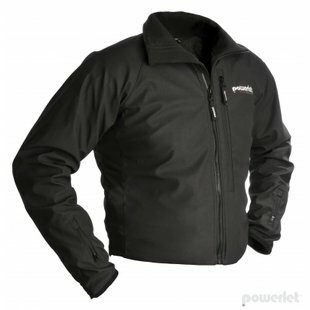 Heated gear is worn over a base layer of clothing, like a t-shirt, and under your outer gear. As such, you want it to be snug without being too tight, and follow the guidelines for outer gear sleeve and leg length described in 10 Functions to Look for in Motorcycle Jackets and 10 Functions to Look for in Motorcycle Pants. 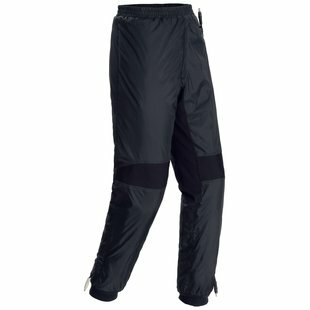 Some manufacturers have leg and sleeve lengths in regular or tall. Get the one that works best for you. Interior wiring. Design ranges from heated panels that are integrated into the lining, to microwire and Carbon Nanotube technology, which heats evenly and quickly without hot spots. You’ll pay more for quality but it’s worth it. My jacket developed a hot spot and burned me. It was repaired under warranty but the problem has since re-developed. On this trip, I experienced burns to both knees and my shin due to the way the wires sat with my riding position. As you can imagine, the heat was turned up high and I had to keep repositioning my legs to avoid greater burns. Versatility. Particularly applicable to the jacket liner, it’s convenient to be able to take off your outer jacket when going into a restaurant and using your liner as a lightweight jacket without cords visible. Flexibility. Apparently, all systems use the same connectors. You can mix and match brands and interconnect them successfully. However, check the warranty; some manufacturers will not stand behind their product if you’ve hooked it up with another brand. It’s difficult for them to prove but worth keeping in mind. Electrical Draw. Make sure your motorcycle can handle the extra draw on the battery. Powerlet has a convenient feature that tells you the excess electrical capacity on your specific motorcycle and what it will support. Warranty. Each manufacturer warranties products for different terms and it varies between electrical, non-electrical and the controller. Service location. Some manufacturers will work directly with consumers; others ask you to go through their retailers. Almost certainly it will be done in the US and be inconvenient. If it happens at the beginning of cold weather season (as it did to me twice), your article is gone for a few weeks when you need it most. Canadians can expect extra cost and delays for cross-border shipping. Customer Reviews. Revzilla has customer reviews and star ratings on all its products. Although warranties are a selling point, I don’t want to be sending my gear in for warranty work. Period. See #7 above. Controller. Your choices are wired and wireless. Mine is hard-wired and were I purchasing now, I’d go wireless. Not only do you not have to be concerned with routing the wiring harness, but most importantly, is the ease of access.Although I now have Gortex gear, that hasn’t always been the case. Donning rain gear on top of your riding gear means a controller attached to your waist or in a pocket is hard to get at. When you’re riding in the rain, fully geared, including heated winter gloves, and you need to reach under your rain gear to either increase or decrease the temperature, it can get very awkward and frustrating. Circuits. The controller can be single or double zoned, depending on how many articles you’re wearing. I have the double, which allows me the versatility to use one or multiple garments. My jacket is on one circuit; gloves and pants on another. This may vary with manufacturers. The amperage drawn is cumulative; the more pieces you’ve got turned on, the higher the fuse rating you’ll need. Most come with a variety of fuses and instructions on how to use them. Wiring is very simple to install. Like any other accessories, gear should be turned on only AFTER you’ve started your bike. Revzilla has excellent, easy-to-follow videos on it’s website, including sizing guides and connection instructions. Their customer service team is also knowledgeable and helpful. Make sure to check out their website. 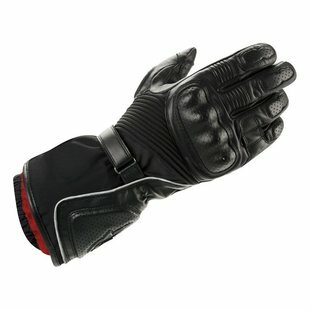 If you do much riding at all, heated gear is well worth the investment. It takes the chill off even mildly cool days, which helps you stay focused and comfortable on your ride. Give it a try. Who knows? You may discover a new love for cold-weather riding. Thanks go to Hakim Driouche at online gear-heaven retailer Revzilla, who answered my questions about brand and feature comparison. 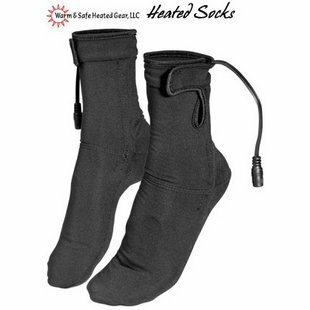 No reason to be without heated gear! We are fortunate to live in North Georgia, and have a year-round riding season. having heated gear makes any ride pleasant, no matter the temp! I agree Lynne! Even when it’s not really cold, it’s nice to take that edge off the chill.